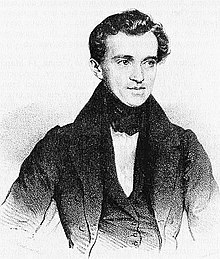 Johann Strauss I (Johann Baptist Strauß, Johann Strauss (Vater); an aa Johann Baptist Strauss, Johann Strauss, Sr., the Elder, the Father; Mairch 14, 1804 – September 25, 1849) wis an Austrick Romantic componer. He wis famous for his waltzes, an he popularided them alsngside Joseph Lanner, tharebi settin the foondations for his sons tae carry on his muisical dynasty. His maist famous piece is the Radetzky March (named efter Joseph Radetzky von Radetz). This page wis last eeditit on 25 Mairch 2017, at 16:18.